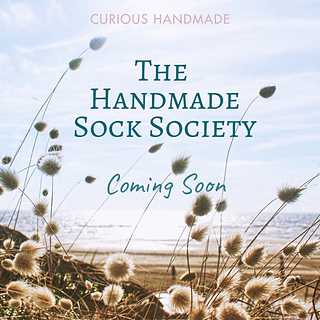 Helen Stewart of Curious Handmade is offering another sock pattern subscription club inspired by the beautiful Cornish coastline. The Handmade Sock Society 2 begins with the first of six sock patterns on February 14 and runs through December 5, 2019. I didn’t join the first club but since I do enjoy knitting socks, I want to try this out. My plan/hope is to use yarn from my stash for at least three of the patterns. For a limited time, you can join the club at a discounted price. Have you ever joined a subscription club before? This entry was posted in knit, knitting, knitting pattern, sock, yarn and tagged club, knit, knitting, socks, yarn by Patti_is_knittinginflashes. Bookmark the permalink. I signed up for School of Wool with Knitspot this year. I’m looking forward to it starting! Can’t wait to see your masterpieces! It looks interesting! Can’t wait to see.